Skrill is an electronic wallet service. This is like a virtual bank account which sits between your real bank and online merchants. Instead of sharing your card number or bank details with a lot of merchants (including betting sites), you use Skrill instead. This increases your security, and also gives you the flexibility to move money around fast – without needing to access funds in your bank. 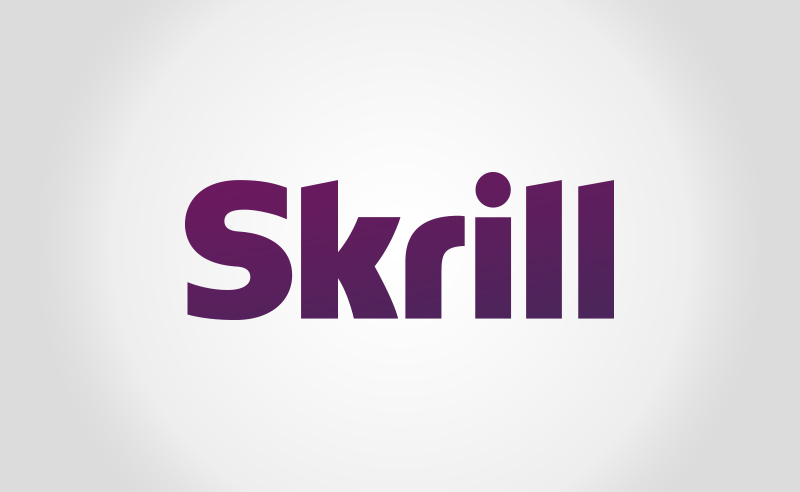 Skrill is available around the world, though cannot be used from the US at this time. This page gives you an overview of Skrill betting sites. First of all, we have explained how this system works, including the key benefits. Next a quick overview of how to ensure that the betting site you are about to deposit at is legitimate and safe. The final part of this page is some advice on helping you to make sure that your sportsbook has the right attributes for your personal needs. This is a simple and secure process. What you’ll need to do is register for a Skrill s account. This is a five-minute process to kick off with - you simply need to verify your e-mail address and you will be ready to go. The amount you can upload and transfer will be limited until you verify your identity with documents and then verify your bank account by typing in a code that Moneybookers will send with a small deposit. The small effort in doing this is certainly worth it. Once you are up and running you will be able to transfer money between your bank, betting sites and back into Skrill as often as you like. The fee with this service is smaller than with many similar systems. The ability to keep some of your bankroll in this electronic wallet, and move it around quickly, can be very beneficial. When short-term offers and promotions happen at different betting sites, you can swoop quickly to take advantage – without having to remove money from your bank. To deposit, you go to your site’s cashier and select Skrill - sometimes you will still see it listed under its former name of Moneybookers. This will open a new window for you at many sites, where you’ll log in to your Skrill account. You complete the transaction in this secure mini-window and when it is complete will go back to your sportsbook. Your money will be ready to bet with right away. The extra security and flexibility, combined with low fees, make this an ideal system for betting site deposits and withdrawals. Before you go ahead and deposit at the first Skrill betting site you find, it can be worth spending some time to make sure your site is 100% legitimate. Most sites are, however there are some rogues still around. The very first check should be for a license in a recognized jurisdiction. For global sites you will find many reputable licensing authorities in Europe. These include Gibraltar, the Isle of Man, Alderney and Malta. Sites which also serve US players are generally licensed out in the Caribbean, for example Antigua, the Netherlands Antilles, Costa Rica or Panama. We recommend you are strict with one rule, no license = no deposit. If your site offers casino and poker games as well as sports betting, you can check for external testing of their game fairness. You can also check for a responsible gaming policy, membership of industry associations, multiple contact methods, and that they have a history of paying their customers fast and have no big scandals recorded online. If you find a company listed on a known stock exchange (for example London) then you can be even further assured that they are a legitimate outfit. Final Checks: Is this Skrill Betting Site Right For You? There are significant differences between betting sites nowadays. Here are some of the most important things to look out for before you make your Skrill deposit. Bonuses are on offer at all sites, including free bets and matched welcome offers that tie in with the amount of your first deposit. Remember that the headline deal is only part of what you need to look out for. How many times you’ll need to bet-through the amount before it is really yours is also very important. We also recommend you check for how well your betting site looks after their long term bettors. The best make a real effort, keeping your bankroll topped up with bonuses and loyalty deals. Coverage of sports varies dramatically among the different sportsbooks too. Sure, they’ll all have a little something targeting the popular sports. What you are looking for is how in-depth they go on your preferred sports. You can also look at the fun bets including props and money-back deals - these can make betting more entertaining as well as potentially more profitable.